This 13-storey mural in Acton is by the street artist STIK, and is thought to be the tallest in Britain. Named 'Big Mother', it was painted on the side of Charles Hocking House in 2014. Sadly, the building was recently demolished, along with its unique adornment. 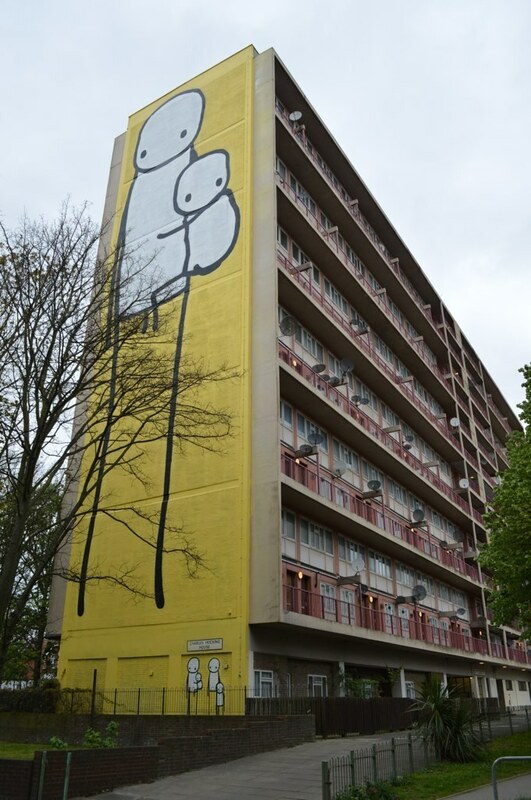 "'Big Mother' represents vulnerable families and the need for public housing," says Stik. 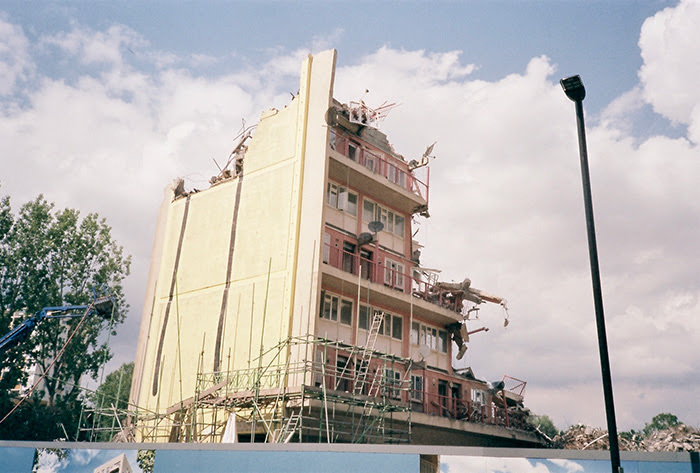 "The destruction of the public housing block it was painted on only adds to its meaning." The vast majority of the mural now lies somewhere in a heap of rubble, but one small section was salvaged. Local charity ARTification, which runs a free arts program for council residents, secured a 2.8 metre (9 ft) spray-painted brick section. The framed section is now up for auction at Phillips, and will go under the hammer (so to speak) on 5 December. Proceeds from the sale will go towards helping ARTification 'deepen and extend [its] work celebrating art, culture and community'. 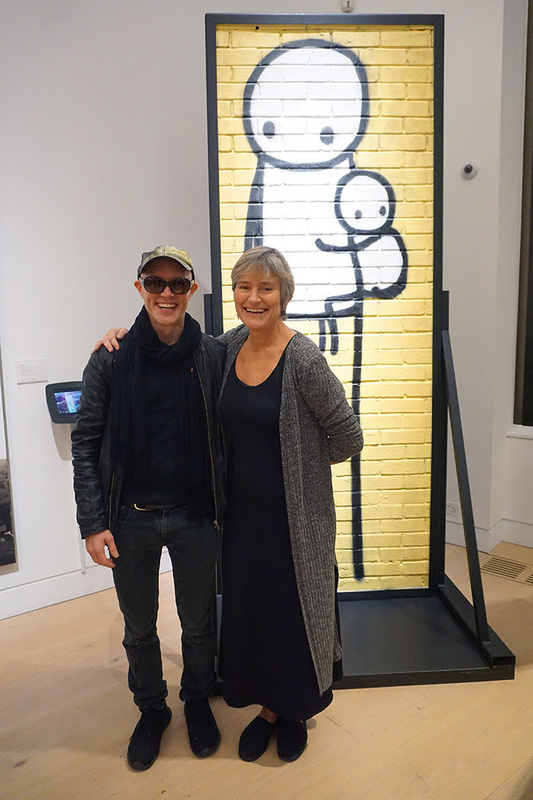 STIK and Rachel Pepper from ARTification. Image LDNGraffiti. If the £25,000-£35,000 guide price is a little out of your league, you can still view the art work at Phillips as part of the New Now exhibition up to 5 December.